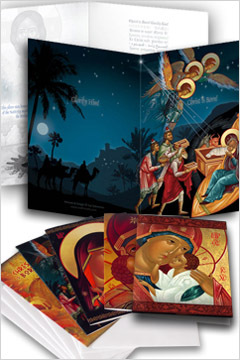 Why did The Three Wise Kings or Magi bring these treasures to newborn child and what is the meaning behind them? Biblical scholars wrote lengthy studies on the spiritual symbolism of the gifts: gold symbolizing Christ’s position as Heavenly King, frankincense pointing to him as High Priest as it was used in worship, and myrrh predicting his earthly death and tying together birth and baptism with dying, as it was used both for anointing at baptisms and embalming. Others suggest that gifts were also practical as frankincense and myrrh were widely used in ancient world for their medicinal properties. What are the benefits of frankincense and myrrh proven by recent medical studies and scientific analysis of their properties that became possible with modern advances of technology? If you search the database of US National Library of Medicine and National Institute of Health for studies on frankincense oil benefits it will return around 300 matching articles. To summarize the health benefits, it is obvious that it affects all aspects of human body from fighting infection to mental health. In ancient times frankincense was very expensive and was worth more than its weight in gold. What is frankincense and myrrh used for? There is evidence that it was credited for saving lives during devastating plagues in Europe as people noticed that pharmacists and perfume-makers who handled frankincense never got sick. So being an efficient and safe antiseptic is one of the frankincense oil benefits. It was (and is) widely applied to wounds, skin lesions and used in oral health products for its anti-inflammatory properties, including rubs and ointments to lessen arthritis pain. One of the most promising benefits of frankincense oil is its ability to destroy cancer cells and strengthen the immune system. 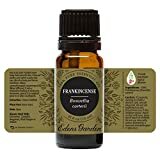 In vitro studies done with cancer cells demonstrate clear evidence that frankincense oil can destroy cancer cells while distinguishing bad human cells from good ones. It has been used to treat breast and colon cancer as well as leukemia. Frankincense oil has been used for healthy skin and also some skin ailments for centuries thanks to its abilities to help re-generate tissue and promote healing. It has been successfully used to treat eczema and improve skin in cosmetology as an ingredient of anti-aging creams and solutions. It also has been noticed that when applied topically, frankincense oil help scars and different skin imperfections to disappear quicker so it has been a popular after surgery treatment and a solution for reducing after-birth stretch marks. To achieve stress relieve without expensive pills with possible side effects try burning frankincense for a change. Besides a good side effect of purifying the air it will bring mental health benefits for your mind. You can also use frankincense oil as a few drops added to diffuser for the same benefits. Burning of incense has been a practice for centuries and now it has been scientifically proven that it will help the mind to leave stress behind and enter that beneficial state of relaxation and spiritual meditation. In addition, burning of frankincense or diffusing frankincense and myrrh oil will aid breathing by easing congestion and helping to fight common colds.